It took grit and determination to climb her way to the top of male-dominated Hollywood. Now, with three Oscars under her belt, Dahlia Morrow is banking everything on her next film. She doesn’t need some bad-boy actor cramping her style. Especially when Guy Boudreaux starts putting the moves on her, tempting the hardworking producer to mix pleasure with business. With an impressive list of blockbusters under his belt, Guy is looking for something more than another ticket to stardom. He’s heard the rumors about the trail of broken hearts the ambitious diva has left behind. Once he’s tasted Dahlia’s passion, he vows to be her one and only. 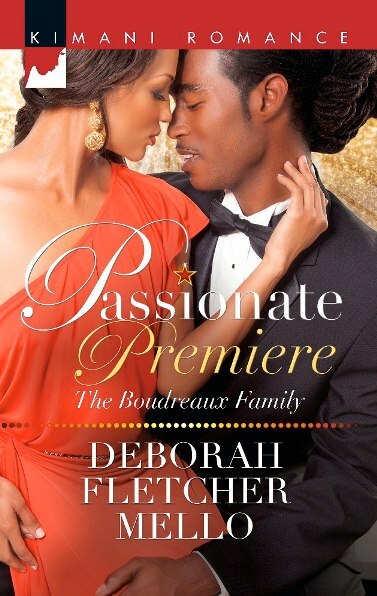 Yet when they are tested by jealousy, betrayal and a secret that binds the powerful Boudreaux and Stallion families, will Guy be able to prove to Dahlia that she’s the only leading lady for him?